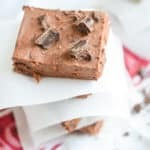 Mini Brownie Bites | Fat Bombs! 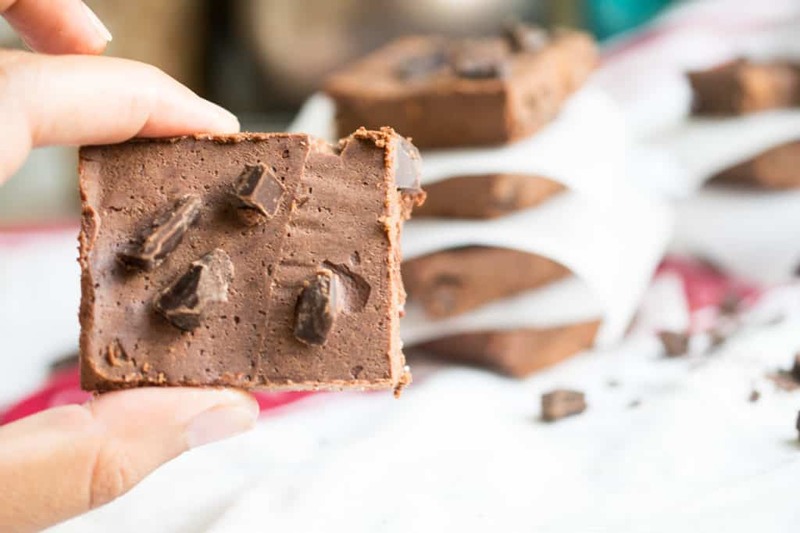 I am always in the mood for a brownie, but most of the time my macros won't allow it or I'm just craving something indulgent and sweet with not time to bake brownies! To make it more acceptable and easy to eat brownies everyday we created these Mini Brownie Bites that are basically delicious, chocolate-y fat bombs. No baking is required and you can make them in bulk weeks ahead of time. The Best Low Carb Chocolates To Use. When it comes to finding good options for low carb chocolate, looking at not only the nutrition, but the ingredients is key. The lower in carb the better is is, so that usually is a darker chocolate if you are just buying from the grocery store. We always get bakers chocolate from the baking section, which is great to already sweet dough and cakes! If bakers chocolate is too bitter for you, you can find more specialty chocolate such as Lily's chocolate chips or coco polo (our personal favorite) in certain health stores or online! Whatever you use make sure you don't see maltitol on the label - that is a big no go! Why We Love No Bake, Low Carb Sweets! We can make them single serve style. They are usually smaller portions so no over consuming. They can satisfy a sweet craving immediately without needing to go off plan. The usually last longer in the fridge or freezer than baked goods! 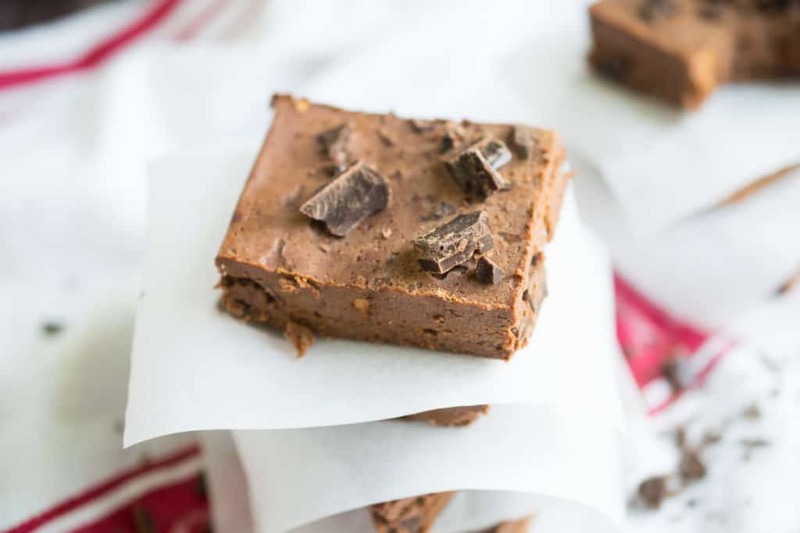 Some great examples of no bake desserts from our food blog are our no bake peanut butter, coconut balls, low carb chocolate mousse, and no bake cheesecakes! Give them all a try this week and satisfy your sweet tooth cravings guilt and effort free. If you're looking for the perfect fat bomb dessert combo - this recipe is made just for you! It's rich in flavor, high in fat and just the right amount of sweetness to satisfy your sweet tooth for the night. You can also make it your own by adding different extracts, nuts and seeds or even frozen berries. You can't really go wrong with a recipe called mini brownie bites! 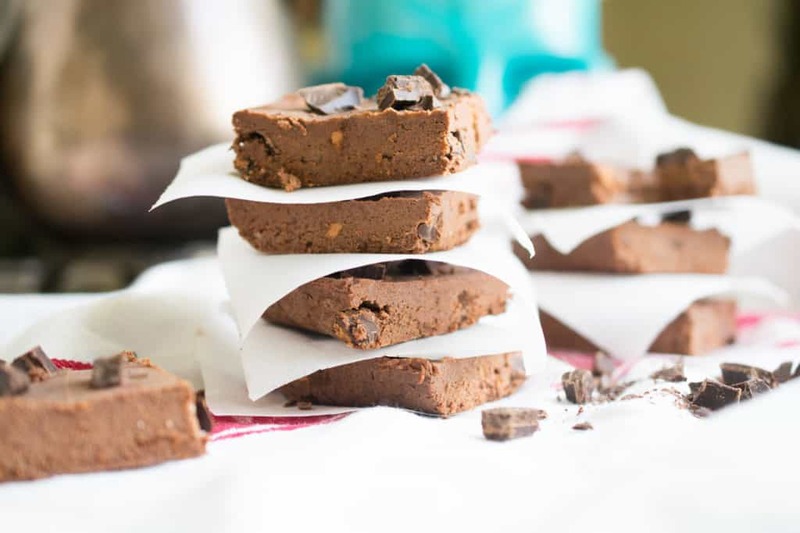 Recipe can be quickly added to MyFitnessPal - Search "KetoConnect - Mini Brownie Bites"
Combine the coconut cream, sunflower seed butter, coconut oil and vanilla extract in a bowl and mix until smooth. Add in the erythritol and salt and mix until smooth again. Use a spatula to fold in the cacao powder until smooth. Fold in half of the chocolate chips. Line a 5x8 loaf pan with parchment paper and transfer the batter to the pan. Cover with parchment paper and press down to flatten the mix evenly in the pan. Set in the fridge to harden for one hour. Remove from the loaf pan by the parchment paper. Peel it off and cut the brownie loaf into 8 squares. Stud with remaining chocolate chips and enjoy! Store the extra in an airtight container in the fridge for up to 5 days.